Water ingress is the most common issue with inground luminaires. With water ingress comes internal corrosion, unsightly droplets under the glass and eventual electrical failure. Even IP67 luminaires, which are claimed to be suitable for exterior use, have frequent water ingress problems. This is why we invented the IP68-rate MicroAntiLeachTM cable entry seal. Why is IP68 important for inground luminaires? A common oversight is that normal use of inground luminaires can include periods of temporary submersion (heavy rains, low lying areas, irrigation, snow melt, etc.). The diagrams (below right) show how water can enter an inground luminaire that is not IP68. IP67 testing does not require the luminaire to be energized, so there is no heating and cooling effect on the air pressure inside the luminaire. IP68 testing does require this type of cyclic pressure testing, making it a more "real world" test. This is why all Lumascape inground luminaires are IP68. We ensure that even during submersion, no water can enter. In fact, our LS343 is independently certified to a depth of 10m (33 feet), well beyond common use, ensuring trouble-free operation over the life of the luminaire. However, IP68 is not just about the lid seal, it is also about the cable entry. That is why the MicroAntiLeachTM cable entry seal is a necessity to protect your luminaires. A common point for moisture ingress in inground luminaires is through the cable entry; the same pressures that affect the lid seal also affect the cable entry point. This is the reason every Lumascape inground features MicroAntiLeachTM, a factory installed, 100% watertight cable entry that blocks moisture from entering the luminaire. Even if water gets into the stranded copper, there is no way to get through into the housing. This unique, compact design has a high-pressure resistance, enduring a 20-psi pressure test before it can be used in a Lumascape luminaire. This is one of many critical engineering considerations Lumascape builds into every inground luminaire, ensuring a long service life. Whilst MicroAntiLeachTM was developed for inground luminaires, this feature can also be found on underwater and other selected luminaires. Specify with confidence, knowing your project features MicroAntiLeachTM.  Be sure to look for the MicroAntiLeachTM logo on all luminaires.